High resolution (1440×900), this screen offers the viewer a clear and distinct display of all the intricate details encompassed in each picture. Support scroll caption 1080P video play. It can be used as a MP3/ MP4/ E-book/ calendar or a clock. Support USB port, can connect with computer, U flash disk and hard disk. Reads Memory card max to 32GB. Play videos and music with built-in stereo speakers and headphone output jack. With no required setup and no software to install. Display your favorite photos in automatic slideshow mode. Included a stand for support on desktops. Download picture/ music/ video in USB Flash Disk or SD card, then plug to our digital frame. It will play the content automatically. 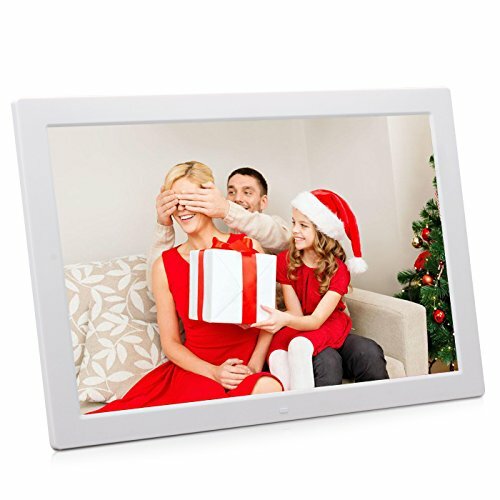 This tabletop and wall mountable picture album frame lets you view digital pictures directly. 17" wide screen can be hang on wall as advertising machine. It owns photo, music, movie, clock, calendar, time-switch, video output functions, all is very useful in daily life. 17-Inch LED 1440×900 resolution wide screen offers a clear and distinct display. Aspect Ratio: 16:9. Support scroll caption 1080P video play. With Full Featured Wireless Remote, View Pictures, Listen To MP3, Watch Video Clips. Play videos and music with built-in stereo speakers and headphone output jack. Control method of manual mode, remote control and auto-play. With no required setup and no software to install. Display your favorite photos in automatic slideshow mode. Included a stand for support on desktops. With a remote control for easy use. It can be used as a MP3/ MP4/ E-book/ Calendar or Clock. Support USB port, can connect with computer, U flash disk and hard disk. If you have any questions about this product by AKImart, contact us by completing and submitting the form below. If you are looking for a specif part number, please include it with your message.